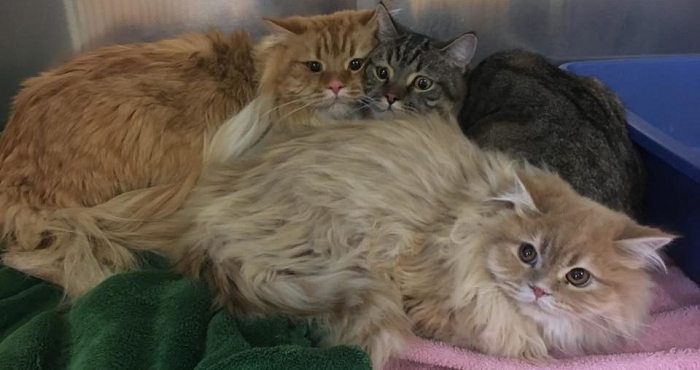 When someone noticed three cats abandoned outside of a pet supply store. They called the local police who came for the cats…but they weren’t sure what to do with them. 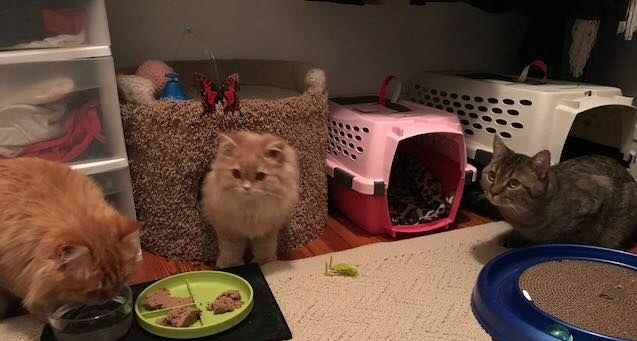 It isn’t common for people to leap at the chance to foster cats, so when the Critical Animal Relief Foundation volunteered to help the police and foster the cats, the officers were relieved. The cats were so scared that they stayed huddled with one another for over a day. The cats had been left with a hastily written note, folded and left with the cats who were all just trying to stay warm. Please take care of them. I couldn’t find a home for them. Can you please find one for me? P.S. They’re half Himalayan cats, all 3.” The note read. No one is sure who left the cats or why they had to do it in such a way, but they are glad that the cats are safe and warm. The three male cats were most likely all related. The oldest cat was 3 years old, large and orange, and quickly named Mufasa. The second-oldest was the tabby, named Timon, who was about 1 or 2 years old. The youngest cat, Simba (orange) was only around 6 months old. The way the cats interacted with one another made their new foster family believe that they were all together in the same home since birth.